Virginia Beach is the largest city in Virginia. The city is located in the southeastern region of the state. Over 400,000 people call Virginia Beach their home, and many come to the area to enjoy the miles of beautiful coastlines and oceanfront property. In addition to Virginia Beach being your typical coastal city, full of opportunities to boat, fish, and enjoy the waves, there is more to the city than just sand. Everywhere you look, you will find a city full of rich history, art, and culture. If you are convinced that Virginia Beach is the place for you, enlist the help of National Dispatch to assist you in your transporting your car. Hiring a car shipping company saves you time, saves you money, protects your car, and spares you a lot of stress. Use our hassle-free car shipping services to ensure that your move gets off to the best start possible. Learn more about Virginia Car Shipping. You are starting a new adventure in your life. You are going off to college. When you move off to school, you will want to take your car with you to get around campus and town. Car shipping provides an easy, safe, and fast method to get your car to its new home. Find out more about Shipping A Car To College. One common reason retirees move is to enjoy their retirement years in a warmer climate, soaking up the sun. Virginia Beach is the perfect place to do just that. Likewise, snowbirds temporarily relocate to a warmer state during the winter season. Whether you are a retiree or a snowbird, auto transport services provide the perfect solution for getting your car to its destination, quickly and safely. Learn more about Snowbird Auto Transport. Are you an active member of the military or a family member of one? Moves in the military are not uncommon. If you are being relocated to one of the bases around the Virginia area, use a professional car shipping company for added peace of mind, convenience, and less stress. Find out more about Military Auto Transport. If you are the owner of a classic car, auto shipping can be very beneficial. Most owners of these antiques do not drive them on a daily basis. Therefore, keeping the mileage down is important. Car shipping lets you do just that, and protect your vehicle from weather and road elements, as well. Read 9 Reasons To Transport Your Car Across The United States to learn more. Virginia Beach makes for a great location to raise a family. One reason for this is because of the schools. With over 80 public schools and 30 private schools in the area, your options are endless. In addition, you don’t have to worry about the safety of your children. Crime rate is lower than the national average, making it a safe place to live, play, and grow up. When we that Virginia is family-friendly, we mean it is for your pets, as well. After all, your pets are members of the family, too! Virginia Beach offers several dog parks where you can take your companion to play and run around. You are also welcome to take your dog to the beach during the times and months allowed. Living at the beach, we would like to think that it is sunny all year-round. However, Virginia Beach harbors all seasons, including winter. During the summer, you can expect temperatures to be between the 80s and 90s. Spring and Fall tend to bring the most ideal temperatures. Winter has its occasional snowstorms, so be prepared with your snow gear. 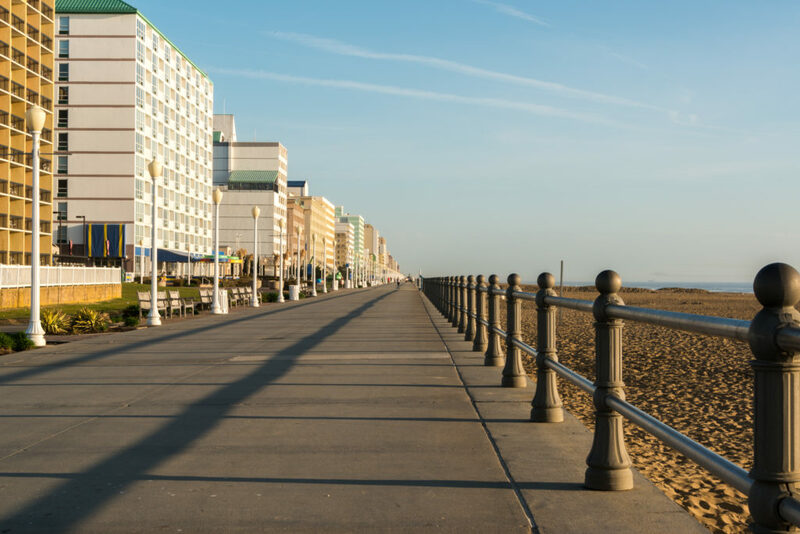 Virginia Beach Boardwalk – This is a 3-mile stretch of pavement that walkers, rollerbladers, and bikers can enjoy. Along the stretch, you will find restaurants, shops, and much more. During the summer months, nightly entertainment is offered. Military Aviation Museum – Thousands of people from all over the nation, and even the world, travel to see the aircraft and events that are held at the museum. Learn about history, and you can even catch a flight in one of the planes. Virginia Aquarium & Marine Science Center – The aquarium is one of the best in the nation. You will have the opportunity to see sharks, rays, and an abundance of other sea life. There are even hands-on exhibits. Neptune’s Park – The park is overlooking the Atlantic Ocean and is near the Hilton Hotel. Special events are held throughout the year. Neptune’s Park is known for holding the free concert series. Do you need car shipping services to or from Virginia Beach? 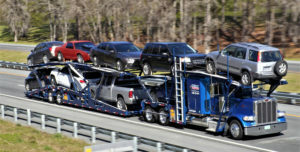 National Dispatch is a nationwide auto transport company with a company-owned fleet. Our customers count on us to ship their vehicles, safely and quickly. We ship cars, trucks, vans, SUVs, and even motorcycles. Request a free, instant car shipping quote today. No personal information is required. Fill out four simple fields of information: vehicle make, vehicle model, pickup location, and delivery location. If you prefer to speak with an auto transport representative, you can also call us at 800-321-2051. Our staff is more than happy to answer any questions that you may have regarding the car shipping process.